I have a few loose ends from things I was posting about that I kinda stopped posting about. lol. Let me tell you what's been going on! I last made a large batch, then forgot to refrigerate it and lost it. I had run out of marshmallow root and went back to using commercial products. I decided to order more in a 1lb bag, rather than the "bulk by the scoop" purchase from Glut. I also got some grapefruit seed extract, some aloe vera gel and some beeswax pellets to try making a super concoction of epic dopeness. O_o We'll see how it goes. I got my Marshmallow root yesterday. Nars was a little warm for me but I was a Syracuse, med/deep shade in their line. I use Mode mineral powder in "honey amber" and it is like, dead on! I'm hella yellow. lol But I don't get full coverage from it. Even when I stack it with a little water it's gone in a few hrs. Then Sephora came out with their Pantone palate for the color of the year, tangerine tango. I saw swatches and fell in love. Had to have it! Also... So there was a girl behind the counter of a fast food joint who had on pink eye makeup and hazel eyes close to my color. And it looked DOPE lol. I was probably staring at her a little too hard lol. But it encouraged me to try makeup to enhance my eye color more. Soooooo down the rabbit hole I went lol. I won't lie. I did some crazy stuff to my hair over the past two weeks. What had happened was I got the orange and was like yeahhhh... Love it. Then I was like.. My hair shoooooo does look dark... I can tone it a little warmer with some selective permanent color. I choose Garnier Nutrisse Haircolor, 535 Medium Golden Mahogany Brown Chocolate Caramel and put it in about 8 places. But That sucker ONLY took on the roots! So then I had light roots and dark ends in places. The rinse I had used many moons ago did not budge at all and the color deposited on top of it, making my ends practically black. I let a day go by and then went and got Clairol's instant whip 5 shade lifter. I had to leave that in for the full 30 min to even get some of the black out. I was left with slightly lighter hair, and still darker ends in most places. I let 3 days go by lol. THEN I used some powder packet of color remover mixed with level 20 developer and attacked the dark ends once and for all. In the process I lost some of the red hue I was going for- but I got that dark black off the ends! And now I like it. It's not even a huge change but I think the orangeness will be fun for the summer. It's not all over, maybe 50% of my hair, and so far it feels fine. No texture change, not feeling dry... But I will make sure I pay close attention to my ends. In other news I am gardening this year again. So far I have gotten materials to prepare 5 small beds, and I am already growing onion, collards and parsley. carrots are going in this weekend, and I have a few pepper plants and herbs for pots. It's been so warm I think it's safe for them to go outside now. I am also going to start dating again this spring lol. Maybe TMI for here, but hey. I plan to have fun and get back out there with some intent. Meaning I'll "try" to meet people and network rather than this happenstance state I've been in. I'll have a braces update for you after my next appt on April 11. Not going so well, I'm ending month 7 and still no bottom braces. AND I will not be getting them next week either. Ya'll Ready for spring/Summer? What else are you up to? With regard to your skin, as for makeup, have you tried Prescriptives Custom Blend? If not, I would try it. And for your breakouts, I would suggest trying Apple Cider Vinegar (Bragg's) diluted in distilled water, used as a toner - I use half and half. Your skin sounds like it's very sensitive, I would try testing it first, say wait a couple of days, just to see how you react to it. Hope this helps. I want to try it! I was on their website though and they no longer have stores? only online? I need to figure out how to get matched. I use ACV in the clay when I do masks (seldom) but my skin does not freak out toooo badly. It may be fine. I am slowly making my way through a bottle of Aveda's Botanical Kinetics™ Exfoliant, which thus far -3 weeks in- seems to have made things worse. One more week before I give up, then I will try that. Thanks! Have you tried Everday Minerals? Their combination of colors & finishes is crazy. AND you can order multiple samples, which I love & think many, many more companies should offer. when i was a relaxed head, i literally changed my hair color with the seasons for YEARS. 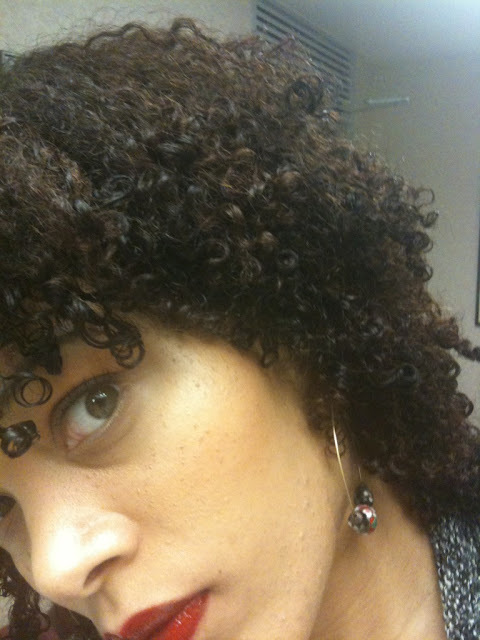 now, since i'm natural, i'm scared to death that i'll experience the same breakage i did way back when. my strands are thin. if you even LOOK at them wrong, they will break off. but i swear i want red hair so bad i can taste it. maybe i'll bite the bullet and just color it, though i will cry myself to sleep at night if i lose hair over it, literally. i am still on my benzefoam/tazorac regimine for my skin. sometimes i get cute and stop taking my meds, thinking adult acne is something i will "outgrow" and then my skin is all, "wrong...WRONG." it's a pain. i'm real lazy and sometimes i just don't feel like being bothered with my face...MAN that sounds lazy. but it's the truth. LOL @ SweetBonita "wrong...WRONG" < Yes that is exactly what it says lol. I wish I didn't have to consider my skin all the time. I feel you. 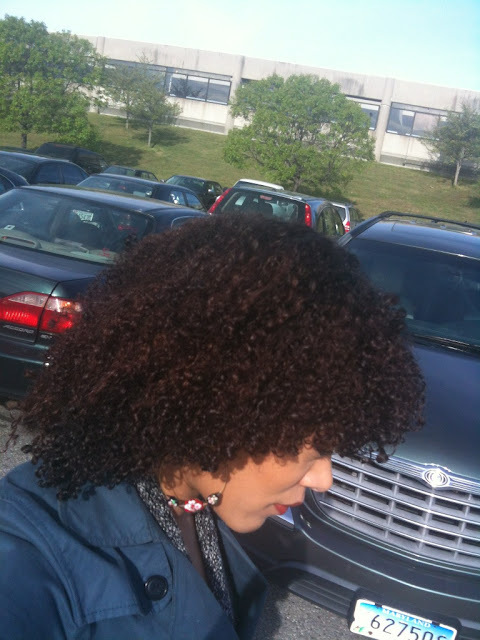 I used a "lift" on my hair a while back- a 5 shade lift by Clairol called instant wip- rather than color. It seems much safer to take some color out than to use a stinky, lightening permanent color. maybe. I dunno. @Anonymous I have been using raw honey for about 2 months but have yet to see a difference because I keep getting brand new dark spots :-( But I will stick with it - this encourages me. It does seem to help with dryness and new outbreaks. It even exfoliates a little. Thanks for the makeup leads too! I have some bentonine clay and it does help, but I am so lazy lol. The other blogger, Nuri, swears by it too. Wow sorry to hear about the relationship, but you won't be single for to long :). The hair looks good in both the black and the dyed hair as well. What color lipstick is that? It looks great on you!